1. Contact the websites you are currently linked to to optimize the links. Ask them to change the “click here” to another anchor text containing relevant keywords since the anchor text encourages people to click the ad. 2. Monitor the websites 404 statistics. Keep track of the links that are old or misspelled URLs. Google has a great tool for tracking URLs and links. 3. Create a “link to us” link on your website. This provides information for others to link to your site including anchors, URLs, and logos. Keep this page updated with current information and additional links. Discover What Monster Clicks Can Do For Your Blog! 4. Use spell check and grammar checker to correct any errors. The users will notice when you have errors in your links, pages, and content. 5. Search the internet for other sites that mention your website but are not linked to your site. Contact them to have them link your site. 6. Post comments on blogs with a link to your site in your signature line. When you add comments that are relevant and informational you will build traffic. 7. Make sure your navigation is spiderable by the search engines. Use anchor text or image text to increase the search engine results. 8. Use a sitemap on your website. Link all the pages on each page with the sitemap for a user friendly site. 9. Link your site to relevant topics on other websites. Link to the important pages on the site. Monster Clicks Massively Improves Blog Linking! 10. Link to sites with high search engine rankings. They will drive traffic to your site. 11. Check on the sites your competitors are using. Get the same links to add to your site. 12. Post comments from clients that are positive to add the trust and interest of future clients. 13. 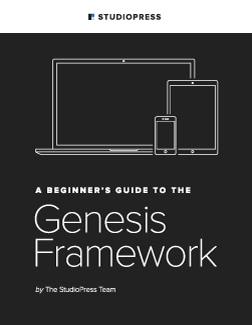 Create a free eBook containing your expertise or niche. Offer the eBook as a gift for people viewing your site who provide their personal contact information. 14. Teach an online seminar regarding your expertise. You should be considered an expert in your field and will attract people to the webinar. Post announcements of the seminar. 15. Use Google AdWord’s content to build your network with other sites with relevant products and content. 16. Join an affiliate program that promotes and sells the same type of product. Add links to your website. 17. Add a “donate to charity” link to your site. Describe the charity and how you donate the proceeds received. Pick a charity that people are willing to donate. 18. Submit your URL to social media sites to promote your products and services. Make sure the sites have quality services and products offered on their sites. When you utilize these strategies to your website you will begin to see profits from the increased traffic. If you are using links to build your website, you know it is very time consuming. There has to be another way to get the links without you spending time asking to use the links on your site. There is a way to do this process. There is a strategy that has ten steps you can use. To use link building, you find target websites. You review to decide if you think it is worth adding the site to yours. You research the contact person then send them a request to use their link. You sit and wait for their response. There are many things you can to do to build your link popularity without sending out direct requests. Join an online discussion group and forum. Begin to be an active participant. When you join the community you will be able to spot the people who are building a productive business. When you create a strong relationship with these people, they will ask to link to your site. They will want to be linked with another profitable business. Publish a regular newsletter. Post the content of the newsletter on your site. Include a statement in the newsletter “If you have enjoyed the newsletter, please include a link to your site.” Include your URL in the statement. Publish articles on other sites such as ezines, informational sites, article banks, and media sites. There are many article sites on the internet so simple Google “article submission sites” and use the sites to broadcast your message in the article. Use well written content on the site and with all your publications. It is an old method but it is very effective. The better the content then you will attract people to your site where they will see your message about adding a link to your site. Submit your site to legitimate award sites. When you share your site with these sites you will be amazed the great responses since you have great content on your site. They will want to link to your site. Volunteer to become an editor for several directories. You then write reviews for the sites of your own sites where you will have opportunities of getting to know the market better. When you know the market better you build a better network of peers. One of the most common ways to get your website noticed on the internet is to link your site to other websites. With the common practice comes the misusage of the technique. The creation of “link farms” has made search engines take notice of the misusages and set restrictions of the sites using that practice. However, for the sites that use link exchanges properly, they find great results and increased traffic levels. There are two types of benefits from having links on your website. Getting improved rankings from the search engines and the internet traffic will take notice of your site. When used properly you create an important internet presence. The classic link exchange or swapping of links is one method. Locate another website with the same or relevant content. Offer to add their link to your site if they allow you to add a link to your site. Consider paying for incoming links from high ranking websites. This method is frequently used and is very beneficial. Write articles and post them on other websites with the links to your website. Write content that is clear and concise pertaining to your niche and product. Publish your articles on websites such as ezines.com with links to your site. Readers love to gain further information and you will be providing a valuable service with your article. Join an online forum where you post responses and comments. Include links to your site within your signature with every posting. Your comments will become informational posts to create a following based on your expertise and knowledge. Start your own blogsite with RSS feeds. Submit the blogsite to the search engines and directories for added internet exposure. Remember to link your blogsite to your website. Keep the content up to date with regular postings. Be prepared to spend time and money for the increased traffic to your site. It takes money to make money even on the internet. Reach out to the internet world population with different techniques to gain their interest. Target your traffic with each method. You do not want to waste your time on traffic that will not purchase your products and services. Quality traffic it the desire so, be specific with all of your attempts to build your traffic with each link you use. Keep current on the traffic visiting your site. Add a tracker software application to your site that will help you monitor all the hits and visitors. You need to know what method is working and the ones that are not working. The ones that are not working modify them or delete the links so your site is not cluttered and unprofessional. You only want the highest links on your site. Linking is great if you know what you are doing. If you don’t then you create a huge mess. Linking does work but it has had changes since it first began being used. The key to using links is using them in moderation. In the past, it was common practice to use thousands of links but as with many other things in the marketing world, limiting the number of links is the best method to use now. The market today focuses on content not quantity. This is great news since you now have more space on your site and can remove the many links you have that aren’t really producing but you hated to remove them. When you have a website with several pages, use links to the different pages. All the links will have different content describing the pages. This increases traffic to the site via the different pages and entices the people to browse through the rest of the website too. Have one of the links to the homepage of your site. Deep linking is using the right link to the specific page on the website. This can be a link from within your site or from another site you have exchanged a link. Use relevant pages of content to link to your pages. Tell the sources of the links you are limiting the links for future sources and this will create others to want to add links to your site before you meet your quotas of links. Using this method creates excitement from webmasters since you are placing their links on a website with limited links, which decreases their competition for users to select their links on your site. It also states to potential sites wanting to exchange links or add links that you are responsible and caring about the appearance of your site so they want to use the professional site you have created. This method of business tactics also increases your link popularity and directs more traffic to the pages on your site. It gives you more leverage to ask for higher quality links when you have better traffic and link popularity. Some sites will provide a lower level link when they exchange links, but you are now in a position to ask for a better link. When you increase the value of your links you are linking to high quality businesses and sites. This is always great for your business and website. You need to realize that part of this process is sending traffic to other sites. Some people get uncomfortable at this thought, but it will all come back to you a hundred times over. Think of it this way, you are actually building stronger links to your site when you help to raise the rankings of the sites linked to your site as they help to increase your site based on YOUR links.